Lift install went great on Friday and I really appreciate the service you provided. When I approached you with buying a new boat you offered options to meet my needs based on the boat and condition of our docks in Northview Harbour. I am happy with the swap out we agreed to and certainly have nothing but positive things to say about you and your team. Thanks again! We’ve had work done by Mike Lineberger of HydroHoist for over 15 years now and we continue to be very satisfied with the quality of their work as well as the quality of the products they offer. We have and will continue to recommend this company to others. My name is Harry Smith, Marina Manager at the Peninsula Yacht Club. Over the past 15 years I have always been impressed with the quality and level of service offered by Hydro Hoist especially under the leadership of Mike Lineberger. Mike is a genuine person, and a great representative of the Hydro Hoist product. If you are looking for someone who knows the product, whether for service or to purchase new, Mike Lineberger is your contact. When we moved to the lake a few years ago the existing lift at our dock was inadequate for our boat. Rather than push us to purchase a newer lift, Mike worked to upgrade our system saving us a significant amount. Every time we have had a problem (which occasionally happens with an older system) Mike has responded quickly, and charged a reasonable price. Because of his history with this type of system, he’s suggested effective, low-cost remedies that others might have overlooked. When it comes to boat lifts, Mike Lineberger is, "The Man"! His experience, knowledge and genuine care for the customer's best interest is top notch. Coupled with his reliability and skill, it would be hard to find a better resource for your boat lift needs. My initial purchase from Mike Lineberger's was ramps for my Jet Skis and I could not be happier with the quality, installation and follow-up. The installation was on schedule, professional, quick and when they left my dock the job was done. I was also given instructions on the use and care of the ramps. When I was planning to install a boat lift, because of the positive experience I had with the ramps, I contacted Hydro Hoist, and Mike immediately helped me with the many questions I had, and he also let me know of the many things I had not considered. I purchased the Hydro Hoist lift and again the installation met all my expectations. I've needed a couple of follow-up adjustments due to changing boats and received the same fast and professional service. I would definitely use Hydro Hoist Services again. Mike installed my first Hydrohoist lift in 2006. 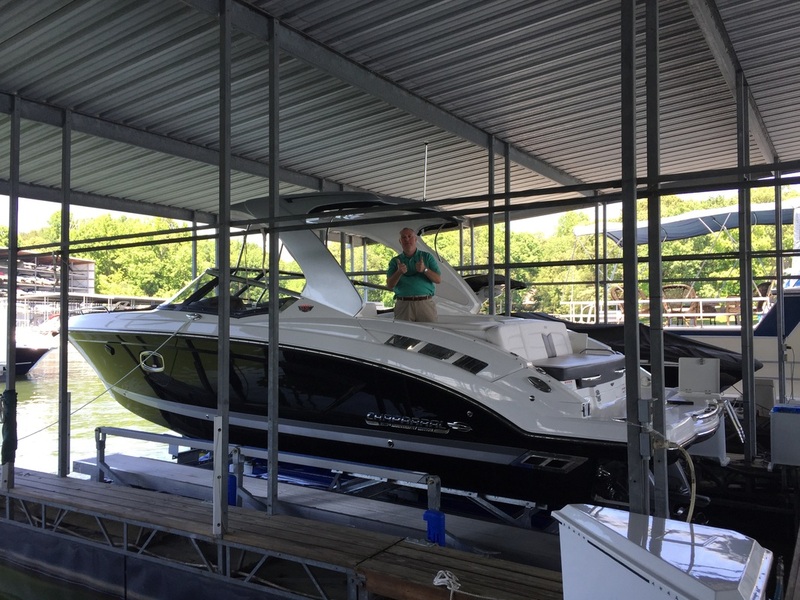 He has since provided service for my existing lift, reconfigured a lift at a another home and recently installed a second lift for my pontoon. As long as I live on Lake Norman and Mike is still working, my first call will definitely be Mike. His work has been efficient and timely, with every lift thoroughly thought out for durability, practicality and cost. When I have needed service, Mike has responded quickly with the same kind of professionalism he showed when selling new lifts. 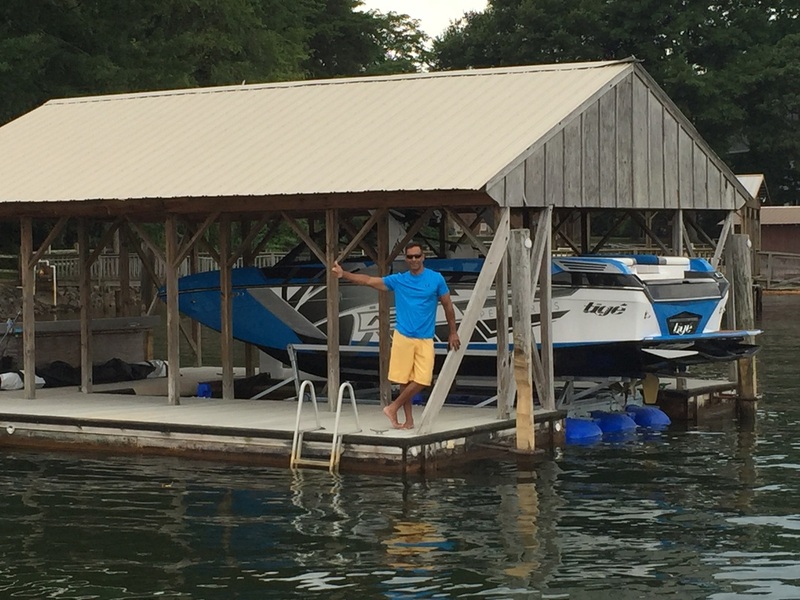 My name is Gere and I live here in Mooresville, I recently hired Mike and his team to install a lift on my dock and they did an excellent job. His team went above and beyond my expectations. I was so impressed with the level of service his company provided from my first evaluation to the final installment. Mike's experience and knowledge is a testament to his success, I was a first time customer but now a lifetime customer. I tell all my lake friends about the excellent work that Hydro Hoist has done for me!!! Mike Linegerger and his installation crew with Hydro Hoist of the Carolinas did an outstanding job of replacing our worn out lift system. Mike is very knowledgable and accurately described and diagnosed my hoist problems without even having to see the current configuration. Mike is very experienced and also very familiar with all the lakes in the area so he knows the problems unique to each lake. Mike recommended a replacement system that greatly enhances our lift and launch experience with a new shallow water lift at a great price. Mike worked with our schedule to get the lift promptly installed with a very experienced crew. Mike’s crew was courteous, knowledgable, and answered all my questions. I would recommend Hydro Hoist of the Carolinas to anyone. Their product is superb, well made, expertly installed, and well worth he money.